All visitors full name with age and Gender. 50% Advance amount require for booking. Booking will be subject to availability 45 day before of check in Date. As per Regulation once booking will be confirmed the booking amount is Non- Refundable , Non- Transferable & Non- Adjustable. 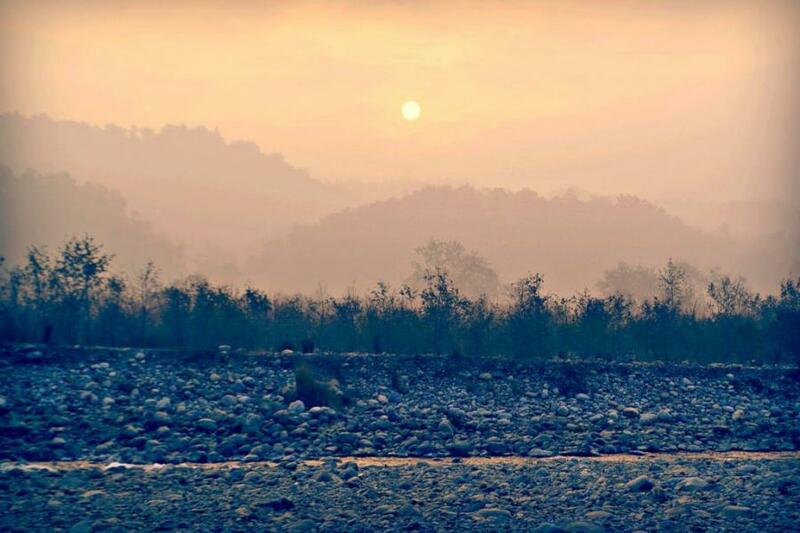 In case of any upward revision of rates by the Government, the additional charges will be collected from the visitors at the time of entry in Corbett tiger reserve. We deals in a Zone not in any particular Lodge . Please inform us when you reach at city. Maximum Six people are allotted in a jeep. If you loss any thing during the safari we are not Responsible . Before making the payment please confirm the availability via call/Mail . If any member extend according to members list in permit it so, we are not responsible for extend person entry. You have to talk personally on visiting gate with officers. ​In case we are not able to book your reservation, your advance deposit amount will be refundable in your bank a/c by cheque or by Cash. Morning pick up by the gypsy, from Ramnagar or any nearby resort and drive to Dhangari entrance gate for Dhikala Tour. After completing mandatory formalities, move to Dhikala forest lodge. Dhikala rooms check-in time till afternoon 12:00 am. You can go for lunch at KMVN Canteen. Get ready for evening jeep safari at 2:30 pm. After ending the jeep safari, return back to Forest Lodge. Dinner at KMVN canteen and overnight stay at Dhikala Rest House. Early morning wake up call at the forest lodge. 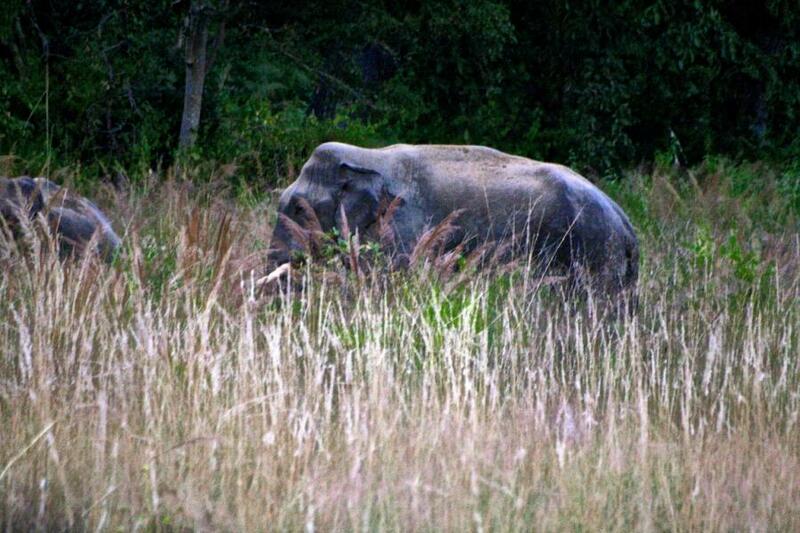 This day will be fully reserved for wildlife safari in Dhikala Zone. Safari time – 6:00 am to 9:30 am. After returning back, have your breakfast and lunch at the forest canteen. 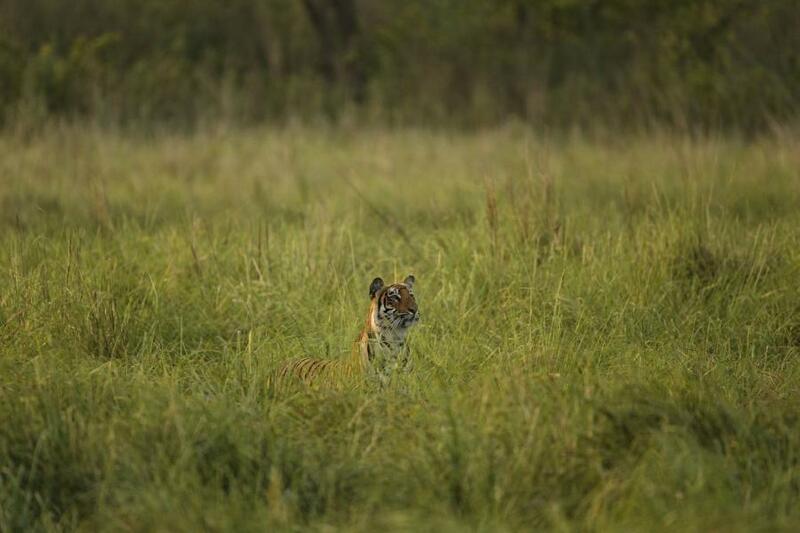 In the afternoon, we will take you for another Jeep Safari to the grasslands of Dhikala, to view wildlife, especially the evasive Tigers, Elephants, Crocodiles and Alligators (Ghariyal). This safari will last from 2:00 pm. to 5:30 pm. Dinner and overnight stay at Dhikala Forest Rest House. 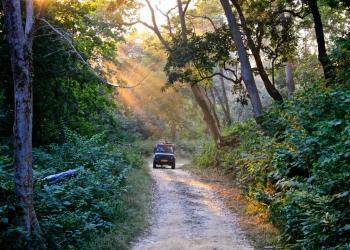 Early morning, get ready for another jeep safari session – 6:00 am to 9:30 am. Post-safari, pack your luggage and depart from Dhikala forest zone. Our jeep will drop you at Ramnagar city. Tour and Services End Here. Two Night’s stay at the forest lodge. 4 Times Jeep Safari Inside Dhikala zone. Forest Department permit charges, entry fee, and vehicle entry charges inclusive. Housekeeping and vehicle parking (camping) charges. Pick Up & Drop facility from Ramnagar by jeep to forest lodge campus. Any meals and forest lodge charges. Any Insurance and claim charges. Anything that is not mentioned in cost inclusions list.